Bathtubs are relaxing and stylistic. Buy your dream bathtub as AKgoods. Marble bathtubs that will provide you with an at home spa experience. A free-standing copper tub will add sophistication and allure to your home bathroom. Weather it’s free-standing or a built in rectangular tub we have what you are looking for. And if you cannot find what you want we will make it for you. The bar has been raised in the construction of all new homes. Buyers are expecting to get something new and unique. Adding a freestanding soaking tub in the master bedroom has become a standard that most clients expect. Picking a material that is not frequently used will add to the wow factor that purchasers are looking for. Consider Silver Travertine or limestone. Choosing a unique design is anther way to go with enticing buyers. 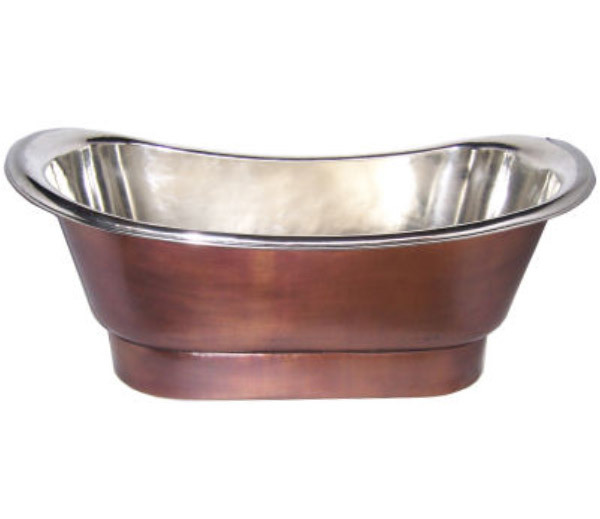 Copper clawfoot bath-tubs are not commonly found in homes. They can add a striking element of interest. The detailing in the clawfoot itself is something to explore. 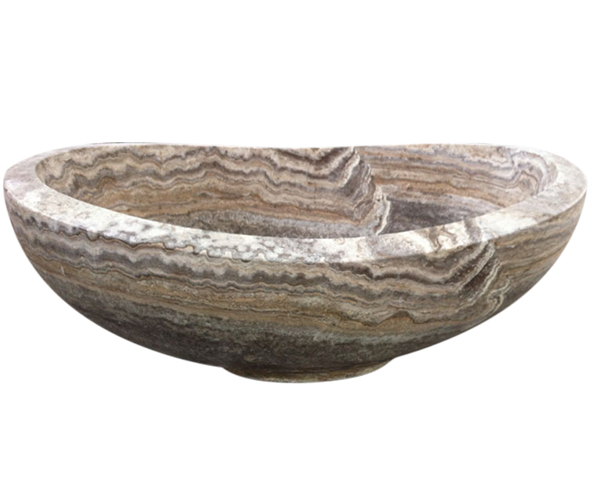 The actual bath comes in a hammered finish or a traditional smooth finish. Both are a fine choice and are a matter of preference. 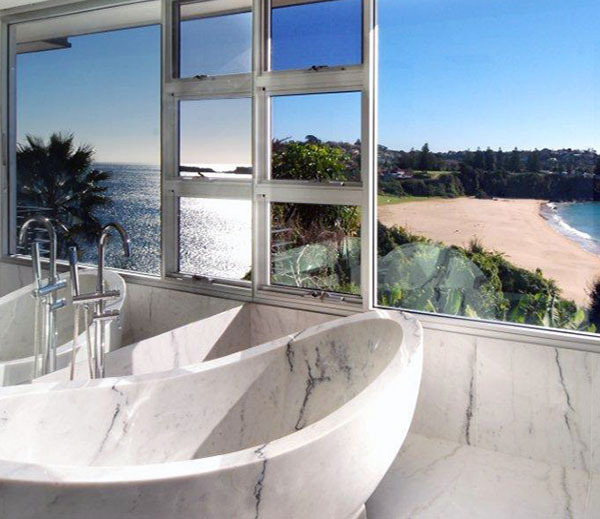 Our stone bathtubs are sculpted for you from a colossal piece of rock. 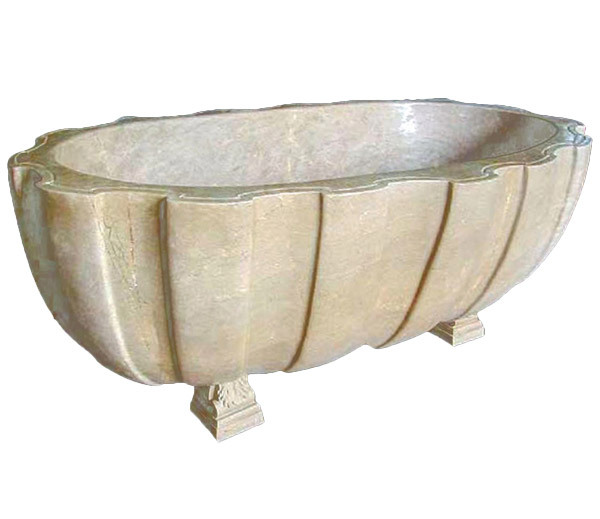 It is a signal piece that is carved into and around to create an extraordinary custom tub. Each bathtub has its own patterns because no two stones are the same. The shape can be slipper or double slipper but each will look different. 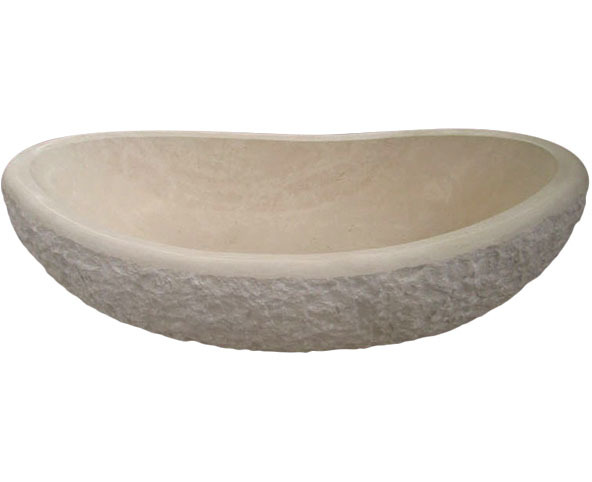 Round or oval Japanese soaking tubs are also available. Vanity bathroom sinks and farmhouse kitchen sinks are carved the same way. Bathroom stone sinks and kitchen farmhouse sinks can be purchased here as well. Adding a fireplace mantel to the master bathroom will also add allure and a relaxing spa experience. 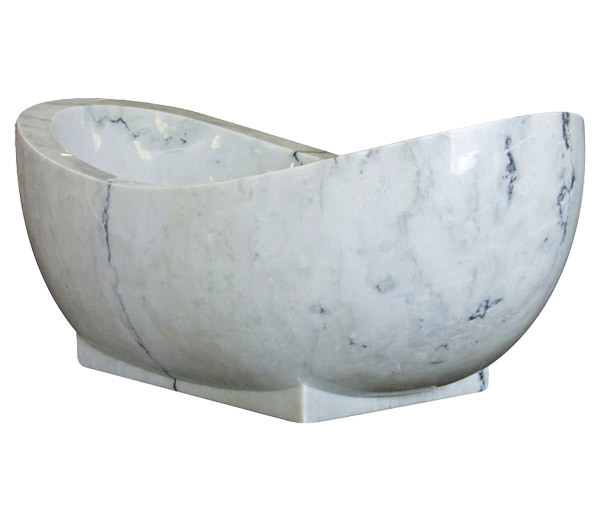 Artisan Kraft prides itself on providing unique home items made from fines marble materials. Visiting the Chicago showroom is always an option. Our Los Angeles, California office helps us serve the entire nation.